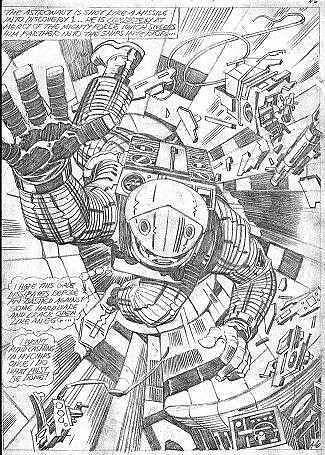 My 1970s tribute to Jack Kirby ends with a couple of pages from one of his most daring and different projects of all, his adaption of 2001 A Space Odyssey! When the Bullpen Bulletins announced that Kirby was returning, the kicker to the news was that he would adapt the Stanley Kubrick film in the Marvel Treasury format. The adaption was a mixed bag. From a story standpoint, it was weird to see all of these captions and thought balloons explaining everything, which was almost completely non-verbal in the movie. 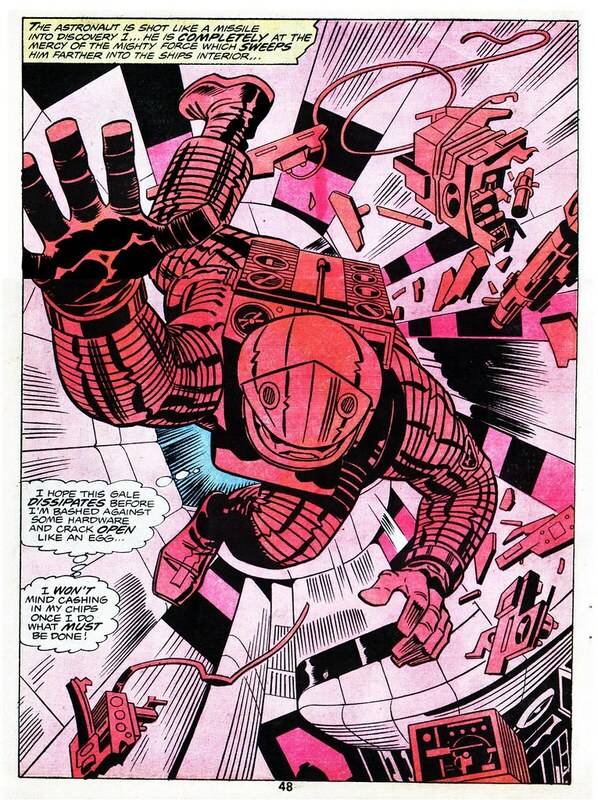 But from an artistic viewpoint, it was completely triumphant for Kirby. He was allowed to draw all kinds of apes, spaceships, and cosmic stuff in giant splash pages like the one above. Dave Bowman blasting back into the Discovery spaceship! Here's a medium sized pic of the original pencils to the Bowman page. Think about all the time Kirby spent filling in the blacks/shadows on the hands and everywhere. Most comic book artists don't bother to that anymore, do they? How long did it take Kirby to draw this page? One day at most? Wow. This gigantic double page spread took place earlier in the story, where the scientists are flying over the moon towards the Monolith. 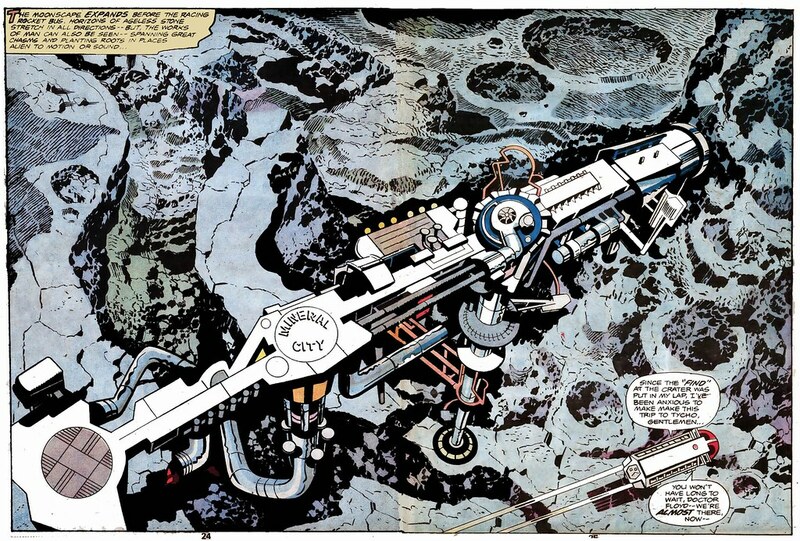 I always thought this drawing of the moonscape and base were awesomely detailed by Kirby. Link: 2001: A Comic Book? A Look at Jack Kirby's Controversial Adaption.